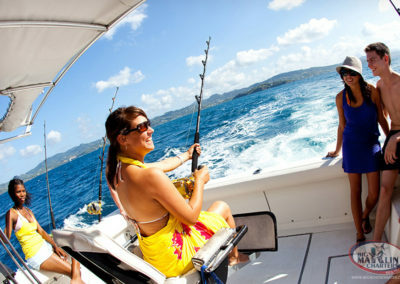 One of the most popular activities in Dominican Republic is the fishing. Hundreds of tourists visit our country every year to practice this sport; some of them even travel several times a year according to the calendar of the fishing of the Caribbean and also to participate fishing tournaments. 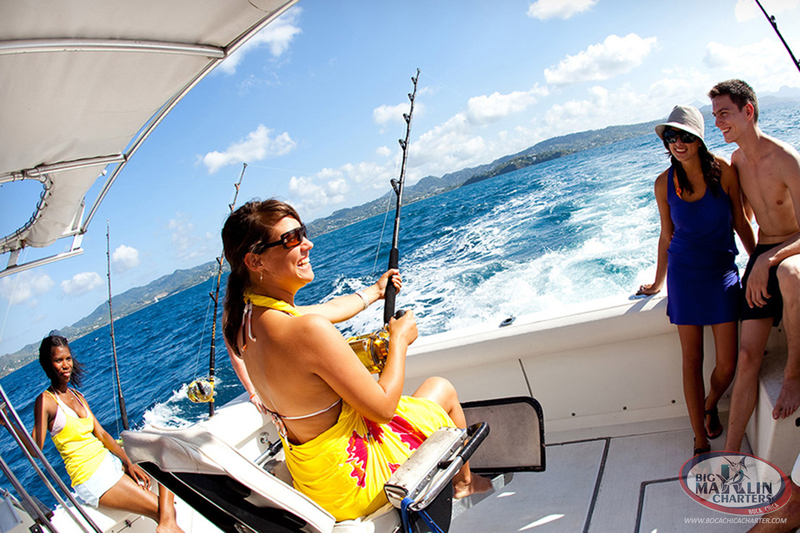 The best places for fishing are locating in the regions of La Romana, Bayahibe, Boca Chica, and around Santo Domingo, Higüey, Cabeza de Toro, Samaná y Puerto Plata. Dominican Republic is an island rich for the multispecies, for being washed by Caribbean Sea and Atlantic Ocean on the North. 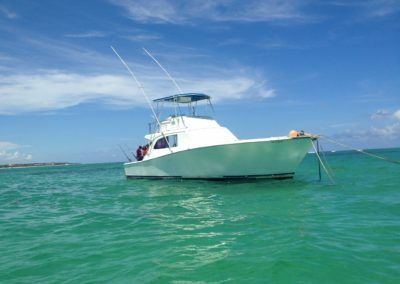 Also the purity of the marine waters of the Caribbean make our shores the perfect place for this practice. 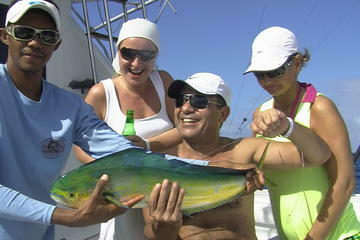 In our seas you can find a lot of el dorado (mahi mahi), el bonito, swordfish and blue marlin. 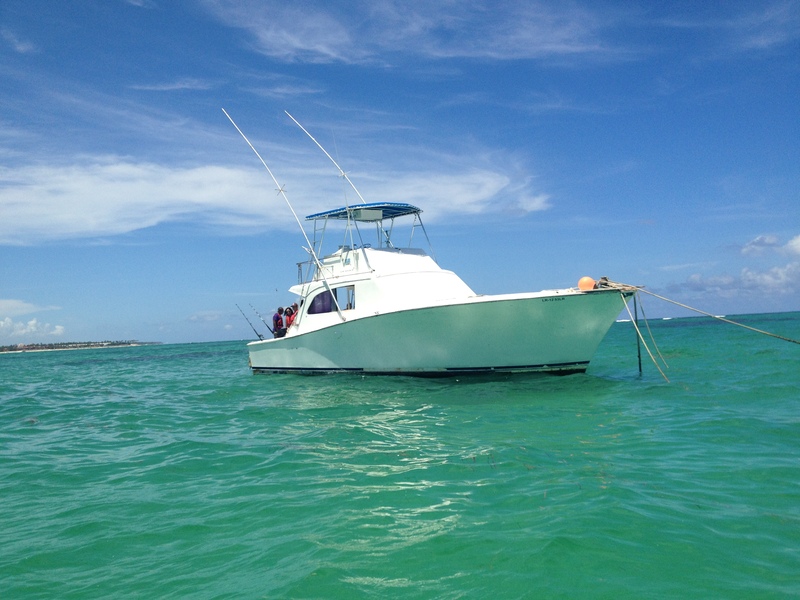 You are going to begin our fishing day in a fully equipped for this activity boat, sailing around Punta Cana and seeing the beautiful palm trees, crystal clear water and on the horizon ships making great catches blue marlin, el dorado, sailfish, tuna and others. Fishing paradise!